I did a bit of my own research, and what’s interesting is in both Stanislaus County (ca-10) and Orange County Republican John Cox beat Gavin Newsom for Governor. John Cox ran a horrible campaign and was virtually invisible. I find it hard to believe that voters would split the ticket — voting R for an unknown guy Governor and D for a super liberal congressperson. Just seems like a BIG red flag. 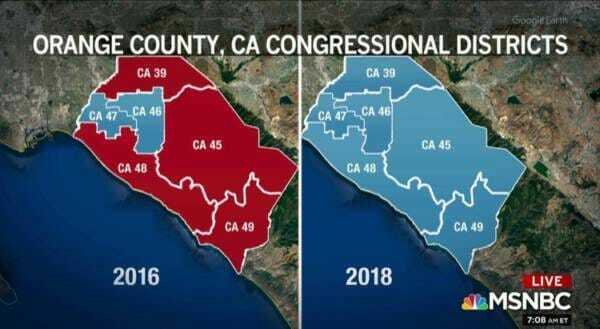 300,000 (299,931) more Democrats voted for the Democrats in the Orange County Congressional races than voted fro Democrat Gavin Newsom for governor. This screams of voter fraud. And Republican John Cox beat Newsome by 12,000 votes in Orange County. This makes no sense and points to fraud. I’m is lifelong Californian and want this exposed. I was a Democrat until recently and know many former California Democrats like me who are sick of what’s happening in California. These seats were stolen.